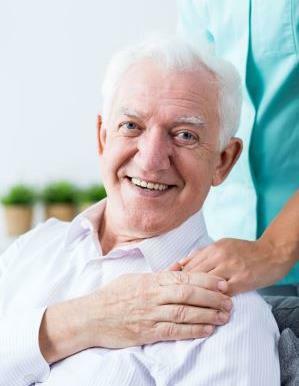 The Hazel Hawkins Hospital Foundation has established the Grateful Patient Program to provide individuals and/or their families an opportunity to formally recognize the exceptional care received at Hazel Hawkins Hospital. Whether you choose to honor a special doctor, nurse, staff member, or entire department, your donation is a meaningful way to say “thank you,” and give back to those who may have given so much to you. At the same time, your generosity will ensure future patients continue to receive the high level of care you experienced during your time at Hazel Hawkins Hospital. There are many ways you can make a difference. You can designate a gift of any size to a specific area that meets your own passion and interest, or allow us to direct the funds where they are needed most. Your donation is 100% tax deductible. Contact Us if you are unable to give at this time, but would still like to send a thank you note to an outstanding team member from Hazel Hawkins Hospital. We will forward your note of appreciation to them. When recognizing individuals, please specify their full name and department. We are continuing the “Buy-A-Brick” Campaign! 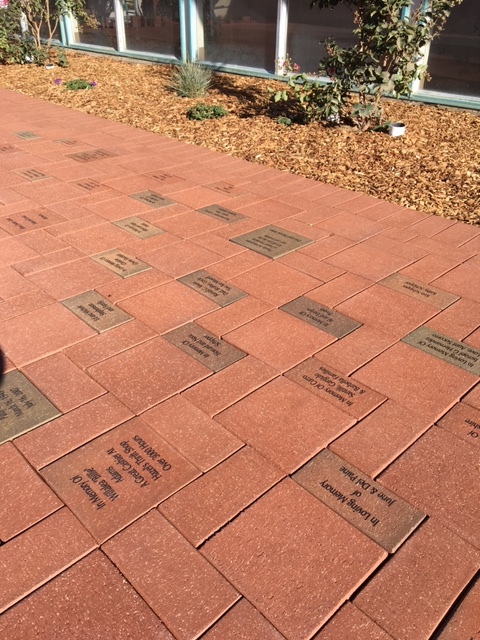 The Foundation is able to continue the buy-a-brick project with personalized pavers in the Klauer Family Courtyard, giving you the opportunity to leave a lasting impression by having your personal message engraved on a brick. The engraving can include your name, a business name, or can be made in honor or memory of someone special. The 4 x 8 engraved bricks are $125. Thank you to Solis Landscape & Construction for continuing with this special project. With the completion of Operation Renovation (the refurbishing of the patient rooms in the main Hospital), it was time to do the same with the Hazel Hawkins Hospital Health Centers. Our campaign, “Enhancing Our Outpatient Health Centers” started with the refurbishment of the Sunset Health Center and the Annex. This was attainable with the funds raised at the 2017 Dinner Dance. The Sunset Health Center currently has an average of over 18,000 visits annually. Often the Center is the patient’s first time receiving care from San Benito Healthcare District. Improvements will help provide a better overall experience for our patients. 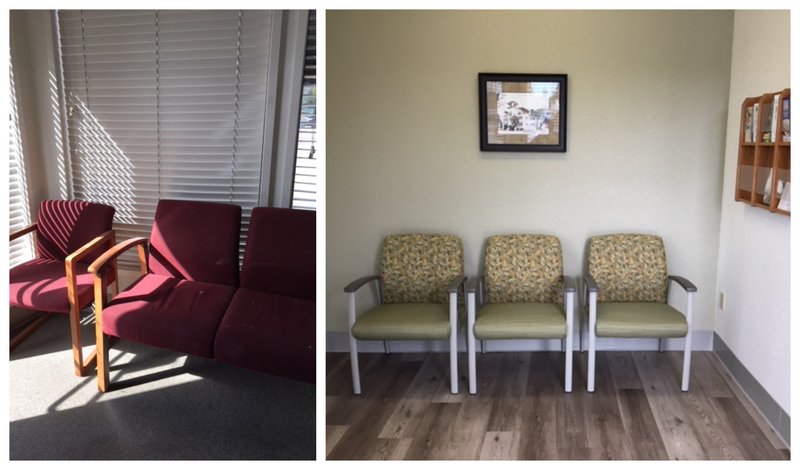 The scope of the work includes a full internal paint job, new floors, new waiting room furniture, and some new hi-low powered exam tables. With funds raised at the 2018 Dinner Dance, we are continuing with improvements to our Outpatient Health Centers. The first project to be completed is the new flooring in the Surgery Center Waiting Room.